"At the time, I considered it the 'log of shame', but I now appreciate the benefits it can have"
In its latest medication safety officer's report, the National Pharmacy Association (NPA) referred to “a number of errors” by pre-registration pharmacists between July and September. The NPA suggested a major factor could be a “lack of training and experience during the early stages of the pre-registration year”. Thinking back to my stint as a pre-reg, I was reminded of the plethora of opportunities I had to make mistakes and am not surprised by the NPA's findings that pre-regs were involved in errors when both “dispensing” and “selling medicines and products over-the-counter”. I started my career in a busy pharmacy and – like every pre-reg – made mistakes that earned me a trip to the ‘near miss’ log. Back then, I considered this the ‘log of shame’, but I now know better and appreciate the benefits it can have – something I try to stress to all the staff I locum alongside. 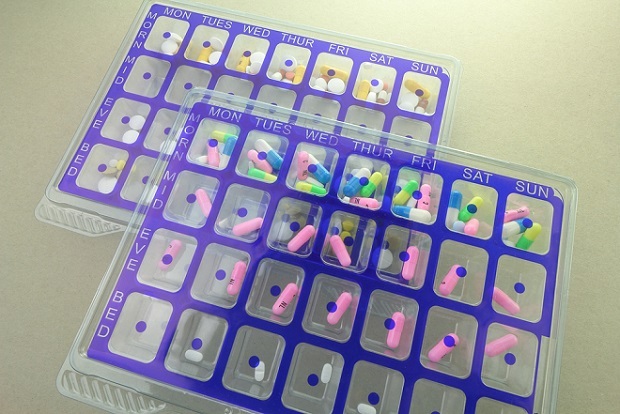 At the time, a friend was completing their 12-month placement in a hospital pharmacy, and as part of their training had to dispense 1,000 items without a single error before they were allowed to progress. Although these mock checks were then reviewed by a pharmacist, they were good practice to get pre-regs into the habit of checking items and improving their understanding of when mistakes can happen. I thought these mock checks were a great practice to replicate during my own pre-reg year. After all, it gave me the opportunity to do more than prepare dosette boxes and repeat prescriptions. After explaining the concept to my tutor, he was happy to indulge me. We devised a plan that I would check prescriptions before his final sign off at certain times of the week – ensuring I was able to balance it with my other responsibilities. In addition, to track my success we used a tally sheet that would be set back to zero every time I missed an error, helping me keep track of my progress. One of the first things I learned was that it is far easier to check someone else’s work than your own. This is a well-established safety principle in community pharmacy, but it was interesting to see it first-hand. I had mixed success in this endeavour. As I improved, the stakes got higher – I would make it to 50 items, then falter on the spelling of a patient’s name – taking me back to zero. I would successfully check 200 items, then miss a medicine off the prescription – back to zero again. As I progressed, I managed to surpass 700 items without any ‘near misses’. After checking a prescription, I confidently passed over the basket and was primed, ready to mark six more items off my tally. However, my tutor picked up the large box of Laxido and proceeded to open it up and start counting. This is something I had not done; it was an unmarked box and heavy – suggesting to me that it was full. Disaster stuck. There were two sachets missing from the box. Perhaps these were removed to make up a patient owing, maybe it was a manufacturer error and missing to begin with. It doesn’t matter why they were missing, but it was my responsibility to check and I didn’t. I was disheartened as I took my tally back to zero. I felt I had worked so hard to get to that point, and lost it all. On reflection, I know I benefitted from missing those Laxido sachets. I learned from my mistake – now I always open boxes and count the contents. By highlighting the most commonly reported errors, the NPA is doing a huge service for community pharmacy. Providing us with this vital information means that we don’t have to learn from our own mistakes – which can have serious consequences for patients. Instead, we are able to learn collectively and adjust our behaviour before errors occur. Learning to dispense accurately is an essential skill but If all the boxes were sealed and dispensed as original packs there would be no need to waste valuable time checking the contents of boxes.